Your dream of getting 1st-page ranking for money making keywords now can complete with the help of best free seo software which is highly trusted and tested by top internet marketing experts in the world. I have personally used the free version of this top class tool which is helping me a lot for doing all important task from on page to link building naturally by simple task. Friends if you are among from those who work a lot but get very little traffic and sometimes no traffic on your website and can’t achieve 1st page rank for your main keyword then no need to worry because we found the No.1 tool which is extremely important and help us in completing all search engine optimization task only in 10 % time as compared to earlier. There are two versions of this best tool available free and paid both but its free version is already very effective and if you are a blogger or a small website owner then you can get help of this best free seo software for doing all necessary work which is required for complete SEO and Read full SEO Powersuite review here. There are so many useful functions which you can perform by using this best tool which has bundle of four very necessary tools in it. Add new keyword to compare results from the past. 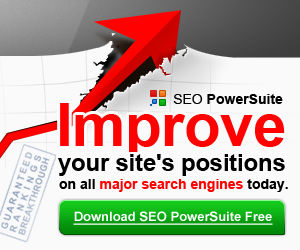 You can track ranking of your site on many keywords from different search engines. Get the idea of low competition keyword which can be rank easily. You can check ranking on time interval after scheduling it. You can make reports for clients like top professionals. Website auditor helps in finding on page problems and get suggestions for resolving them. You can check broken links, HTML and CSS validation and link statistics. You can check back links of your competitors websites to know strong links of them. You can identify links from various sources and check risk of link penalty also. You can perform the outreach task because it has best blogger outreach tool in the market. Because of all these powerful functions you can judge how this tool is so much effective for generating thousands of visitors in very small time period also do first of all you can download its free versions and if it helps your website to be ranked then you can upgrade to pro. We found one good tools for finding quick ranking keywords and for more details read Long Tail Pro tutorial and SEMrush review tutorial also.Thanks. Free SEO software, have all these features described above, I think it be a useful tool if all of that is true. thank you for sharing..
You check all the features by visiting their official website by clicking on the link given in the post.. Currently they are offering free version to trial with some limitations.. but you can upgrade to paid version for complete use of it. I will definitely do, thank you for your reply and concern. Software anytime automatic so how to helpfully us and how improve our seo statics cause every professional seo said don’t use any automatic so how can i use it for more safely your software tell me more…. Hey Avnish! I m new in SEO and it help me a lot. Thanks for sharing. I looking to buy Long Tail Pro but i have not found so please send me any coupon code and any trick, that will help me to buy at low cost. The free SEO software is helpful for My website to get good SERP’s in google.Thanks for sharing this post. Hey Avnish, thanks for this review, I’m using it. And must say, experienced the changes in increase in search visits. Very helpful Seo Tool, As a Newbie not able to utilize it atmost. But very convenient and helpful. It is really nice information.Actually i had a small doubt, is it possible to rankup multiple keywords for a particular website? if yes , can you suggest various tools for that..
Hey, thanks for the information provided for optimizing my website. Great tools..